Dublin is quite small in comparison to other European capital cities; however, it’s still full of fascinating history and top-notch entertainment! The city’s name comes from the Gaelic word, Dubhlinn (dark pool), which refers to Dublin Castle’s lake. The St. Patrick’s Cathedral is the Republic of Ireland’s largest church. 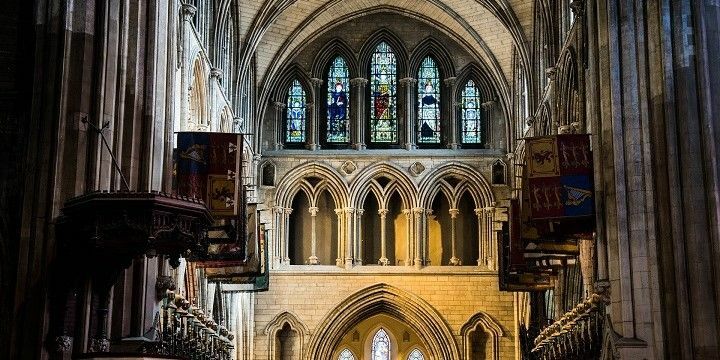 Legend has it that the Irish patron saint, St. Patrick, used to baptize converters at a spring close to the building in 450 A. D. Despite its size, the smaller and older medieval Christ Church Cathedral is the seat of the bishop. St. Patrick’s Cathedral is the largest church in the Republic of Ireland. After checking out both churches, head to Trinity College for a mix of cultural history and academic excellence. The college was founded in 1592 and its alumni include the controversial author, Oscar Wilde. Be sure to see the Book of Kells, which is the world’s most famous medieval manuscript. Often referred to as Ireland’s finest national treasure, the artefact is exhibited in the Old Library, together with 4.5 million other books. Head to the Kilmainhaim Quarter to see the Kilmainhaim Gaol, the former prison that is now one of the city’s most popular museums. Many Irish rebel leaders and nationalist politicians were detained and, in some cases, executed here. After your prison tour, take a well-deserved break in the nearby Phoenix Park, just a few kilometers outside of the city center. Phoenix Park is located just a few kilometers from the city center. If you’d rather stay in the center, check out St. Stephen’s Green, a smaller, but equally as beautiful park. Its southern exit takes you directly to Grafton Street, one of Dublin’s main shopping areas. Whilst Grafton Street is great for big chains, the Creative Quarter is home to plenty of independent boutiques, cafés, and galleries. The Republic of Ireland is famous for two drinks; Guinness and whiskey. Visit the Guinness Brewery to learn more about the history and production of the dark stout. After the tour, you’ll be invited for a free glass in the penthouse bar with an amazing view over the city. The Jameson Whiskey distillery tour will also offer free tasters of one of the most popular whiskeys in the world. The Temple Bar District is a popular nightlife area. 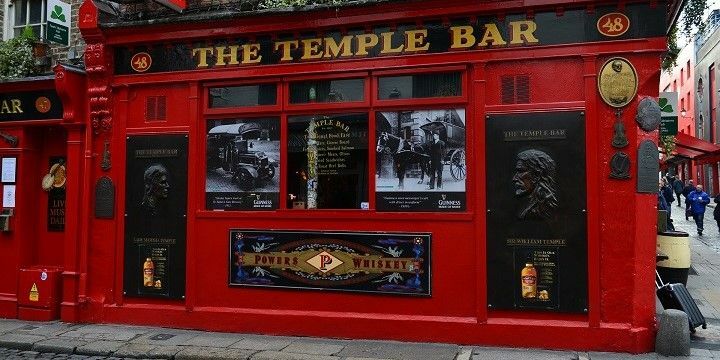 If you plan these tours for the end of the day, you can head straight to the Temple Bar district afterwards. This is the most popular area for nightlife: it’s home to traditional pubs playing live music, as well as busy bars and clubs. Whilst this area is popular among tourists, the venues in and around South William Street, George’s Street and Wexford Street, are a little less crowded and have more of a local feel. Ireland’s world-renowned public holiday, St. Patrick’s Day, attracts endless streams of visitors to the city every year. Whilst the official date is 17 March, the celebration extends over several days. As well as celebratory pints, the festivities include a parade through the inner city, special exhibitions, Irish dancing, and many musical and artistic performances. The city’s official buildings are also lit in green — Ireland’s national color — and many people wear shamrocks to commemorate St. Patrick himself. If NextStop24 helped you to choose your next travel destination, we'd be very grateful if you’d search for your accommodation and things to do in Dublin through these links. They're affiliate links, which means that we will receive a small commission for every booking made through them. There are no extra costs for you; you'll simply be helping to keep NextStop24 running. Thanks!